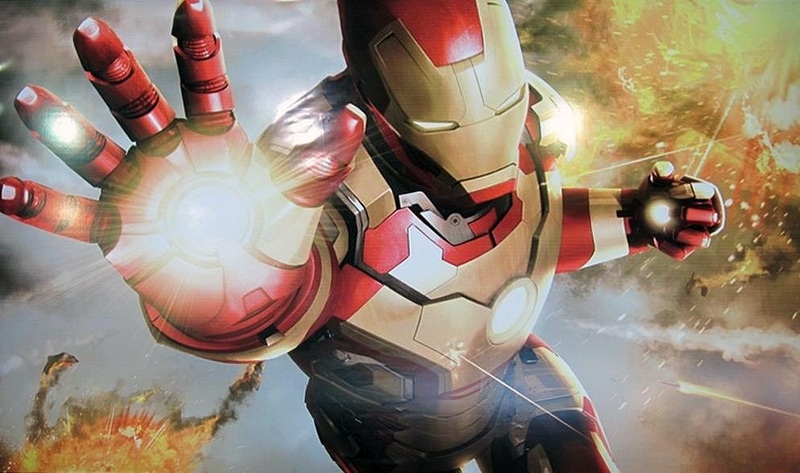 HomeCheck Out The Avengers: Age of Ultron Iron Man Suit Mark 43! Look, don’t get me wrong, I love me some Iron Man, but the third film in the franchise was a bit of a disaster. The redeeming qualities of that film were the performances from Robert Downey Jr. and Gwyneth Paltrow, but the plot was a clunker, and the less said about Extremis the better. We also got dozens of new Iron Man armors, most of which I thought were poorly designed. Even the Mark 42, which was heavily featured, kind of looked like a mustard bottle to me. With that in mind, damn did Joss Whedon deliver with the Mark 43 (XLIII) for Avengers: Age of Ultron! Hot Toys has released images for their 1/6th scale model of the armor. They’re high-end collectible makers (and usually sell through Sideshow), so this model is as movie accurate as you can get, without actually watching the movie. I think it gets a little bit busy around the leg and rib areas, but that’s a minor quibble of the design. 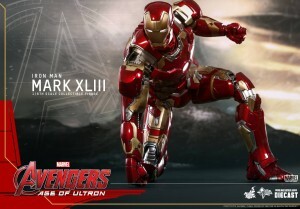 What I really hope is that Hot Toys is also working on the Hulkbuster Iron Man armor that this Mark XLIII will fit inside of. Ok, that may be a lot to ask for, but I’m pretty sure just mentioning it has made a few of you salivate. Sideshow has one from a bit ago, which is sold out, but you can probably find it on eBay. Check out the sample gallery below as well as the description of the model and take the design apart to your heart’s content! More images are available on their Facebook page here.